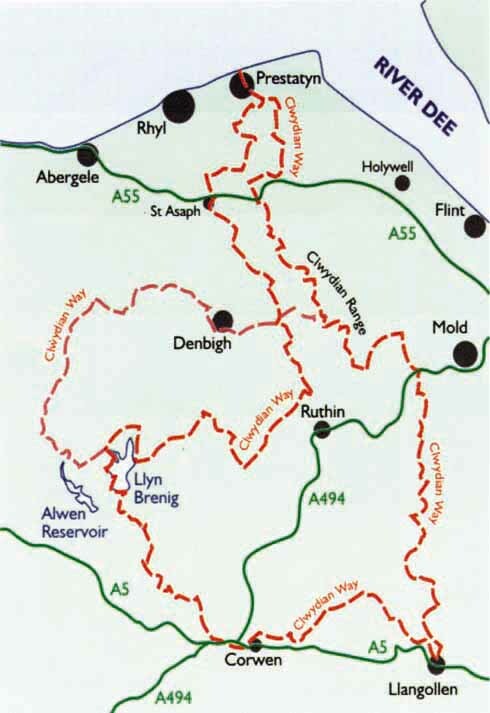 This is a 122mile Circular Route largely within Denbighshire in North East Wales. The route is described from Prestatyn but it can be started at any point on the route. The walk is particularly attractive if it is started from Loggerheads or Llangollen. 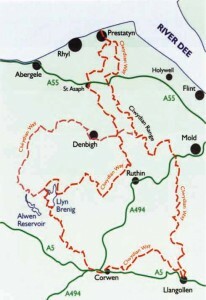 The route is marked as a Regional Route on the Ordnance Survey Maps.